This was my class' first experience with watercolour pencil crayons. We started out by reviewing what they already knew: warm vs. cool colours. We then looked at complementary and analogous colours as well as what monochromatic means. For each colour type, students had to show what they understood by practicing with the watercolour pencil crayons. This helped them understand how much pencil to apply to the paper, the proper pressure and how to blend with water. The drawing of the actual snowmen took a few days. Day 1 was drawing with pencil. Day 2 was finelining and Day 3 was colouring. We used this video to help us out. It was important to remember to fineline with a waterproof black pen so the lines didn't run once colouring. I love an art project where we all do the same thing, but they can turn out looking so unique. 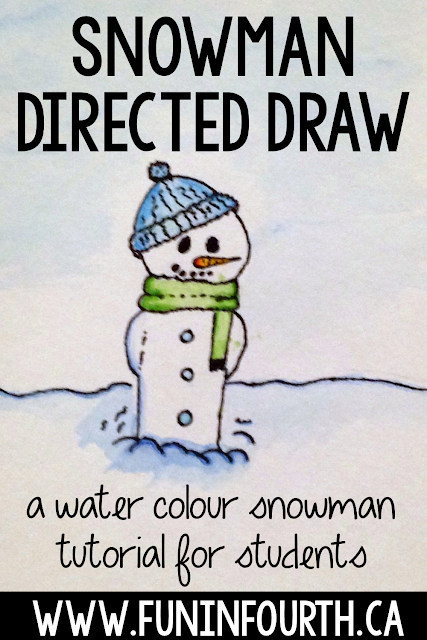 Every snowman had it's own special personality! 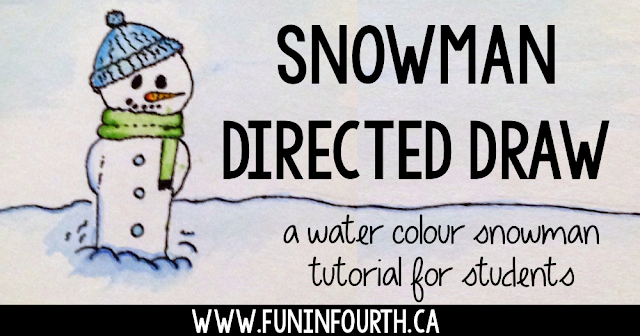 Students didn't have to colour the toque and scarf the same as in the video. They were allowed to do them the same colour, or something complementary or analogous. They just had to explain their colour choice to me.